Note: There are NO Spoilers for the TV show LOST below. Stick with me on this for the next three paragraphs. In the fall of 2004 I was in the seventh grade and the television network ABC premiered a show called “LOST”. The elevator pitch for the first season is basically “a plane crashes on a mysterious island with hostile inhabitants and the passengers strive to survive, and there’s a hatch.” Anyone who has watched the show knows, as the seasons progress, the concept of the show strays a bit from this as complexities unravel and relationships form. For its entire six season run LOST dealt with a lot of themes, including, but not limited to, morality and the content of one’s character, destiny and if we have choice, and science v. faith, along with different philosophical discussions that can give The Good Place a run for its money. But despite all these themes, there were two I feel were at the core of the show, but more on that in a second. When the show ended people lost their minds. Everyone is welcome to their opinions, but over the years, as LOST has faded from our minds, I’ve found people forgot what the show was truly about, and I’ve found even more people completely misinterpreting the finale. I am not writing to correct this, for that’s a whole other blog, but there is something from LOST we need to be reminded of in a time like this. There are no spoilers to the show here, trust me, but I do want to recap the Central Themes of LOST, which were the (1.) Live Together, Die Alone and (2.) Letting Go. The first is from a phrase said a handful of times in the show and is a shorthand version of the sentence “If we can’t live together, we’ll die alone” uttered in Season 1. Simply, in our non-fictional contexts, we can’t survive in this world by ourselves and we need others to help us. The second theme, Letting Go, is more obvious, but suffice it to say, the show is about teaching yourself how to let go of your transgressions against others, finding peace, and moving on. The finale of LOST hammers these both home hard and the final, controversial, conversation is all about these two concepts, but I believe the whole show to be about learning to let go and moving on. Now let’s switch things back to Dallas Comedy House. 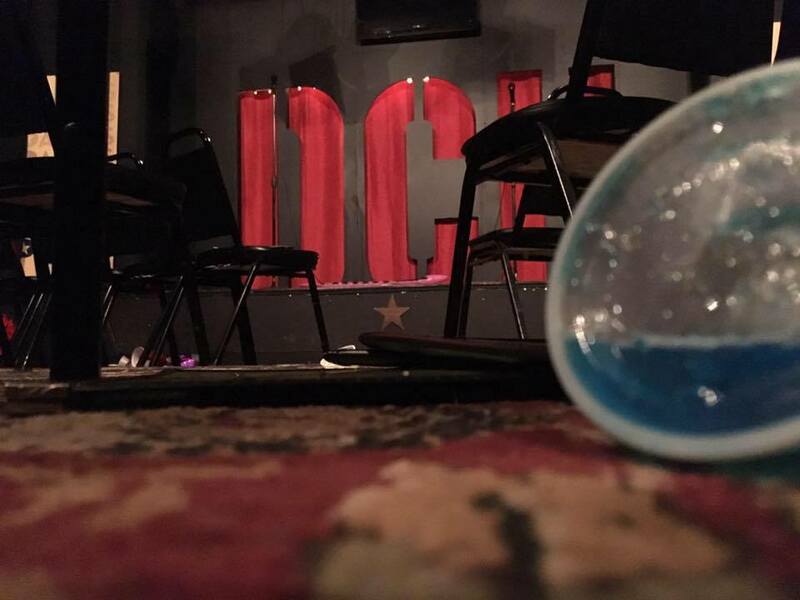 Our lives at Dallas Comedy House are filled with connections and intimacy (defined: close familiarity or friendship; closeness). In the last piece I shared brief accounts of three relationships I have with dear friends, and that’s the tip of the iceberg. As I was saying then, we all have them, these intricate relationships with each other. Feuds, marriages, betrayals, and friendships. It’s so dramatic, isn’t it? But we experience and feel it all. As our days at 3025 Main Street close I want you to consider everyone you talk with in a similar fashion I’ve thought about my relationships with David Allison, Ashley Bright, and Danny Neely. For every person, think about how you met, your first memory of them, the ups and downs you may have had, and what you’ve done together. If you can, find an aspect of them you admire and what they offer to this place. For David, I think of that DCF 2016 conversation about 10 Cloverfield Lane and how we would years later become coworkers and good friends. I admire his ruthless spirit. For Ashley, I think of us in the back of Twilite Lounge in 2014, chatting about Game of Thrones and how later we too would become closer and coworkers. I admire her assured drive. For Danny, I think of us on that beach in 2016, and all the times after as he became my best friend. I admire his invincible kindness. Take this time in these final days to reflect on this building and those you have met in the walls. Do people still Konmari? I urge you to do so to this space: thank the carpets on the floor for bearing the weight of soundproofing, thank the bathroom stalls for flushing weird sometimes, thank the lobby for giving us a place to connect, laugh, and dance. But, ultimately, thank each other for what we have done here. We may be taking pictures off the wall, packing trucks with furniture, and holding our hands with boxes, but what we are truly taking from 3025 Main Street and to Elm is each other. We carry with us our complex histories, our silent secrets, our cherished memories. I do not know how to truly say farewell to this place. This is not the end of Dallas Comedy House, but it is the end of an important saga in our lives. We’ve all grown so much and have beared so much upon us. 3025 Main Street matters, all of us matter to each other, and there’s no better way to truly state what this place meant to us in the past four years than looking at the final words of LOST. Whether we love each other or not, we choose to come together and make a place for each other. Nobody does it all alone. You needed all of them, and they needed you. Here’s one last farewell to 3025 Main Street and one last LOST quote. We’re not leaving 3025 Main Street, no, but we are “moving on”. Newer PostIntern of the Week: Kaitlin Sands!